Shimla. Feb 9 : The picturesque tourist towns of Manali and Dalhousie recorded more snowfall, while rainfall lashed Chamba and Mandi on Saturday. 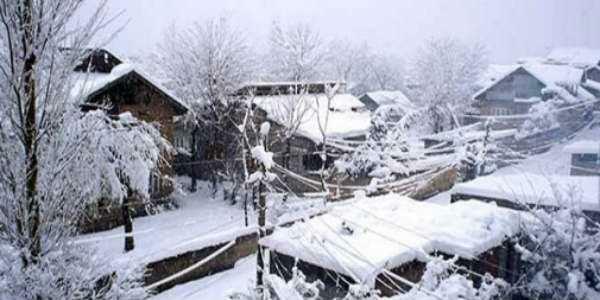 Himachal Pradesh is likely to witness more rain or snowfall from February 11 to February 15, Met office said. Dalhousie recorded 16 cm snowfall, Kalpa in Kinnaur four cm, Jubbal in Shimla & Khadrala three cm each and Kufri in Shimla one cm. Chamba recorded 15 mm rainfall, Mandi eight mm, Pandoh, Pachhad in Sirmaur & Rampur in Shimla five mm each, Jubber-Hatti two mm, Kumarsen one mm. Keylong in Lahaul Spiti recorded minus 14 degree Celsius minimum temperature, Kalpa minus 7.2 degrees, Manali minus five degrees, Kufri in Shimla minus 3.4 degrees, Minus 2.3 degrees, Chamba and Sundernagar 0.1 degrees and Shimla 0.8 degrees. Mandi recorded 1.1-degree minimum temperature followed by Bhuntar and Solan 1.4 degrees each, Kangra 2.2 degrees, Una 3.3 degrees, Dharamshala 3.4 degrees, Bilaspur 3.5 degrees, Hamirpur 3.8 degrees and Nahan 3.9 degrees. The Met Office has forecast mainly dry weather for the next 24 hrs.